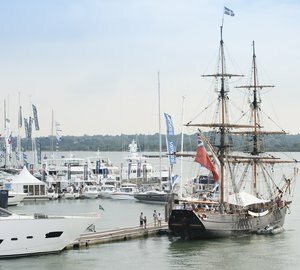 One of Europe’s premier on-water boat shows, the 2011 PSP Southampton Boat Show, drew to a successful conclusion on Sunday 25 September 2011. The PSP Southampton Boat Show reinforced its reputation as an exceptional showcase for the UK leisure marine industry with over 111,017 visitors (9% fewer than 2010) attended the Show over the 10 days, keen to experience activities on and off the water. Encouraging sales were also reported despite the tough economic conditions. Both the British Marine Federation (BMF) and its subsidiary National Boat Shows (NBS) are delighted with the success of the Show, which has brought visitors to the stands of over 580 exhibitors. The Show has again provided an excellent platform for the British leisure marine industry to display its quality and diversity. 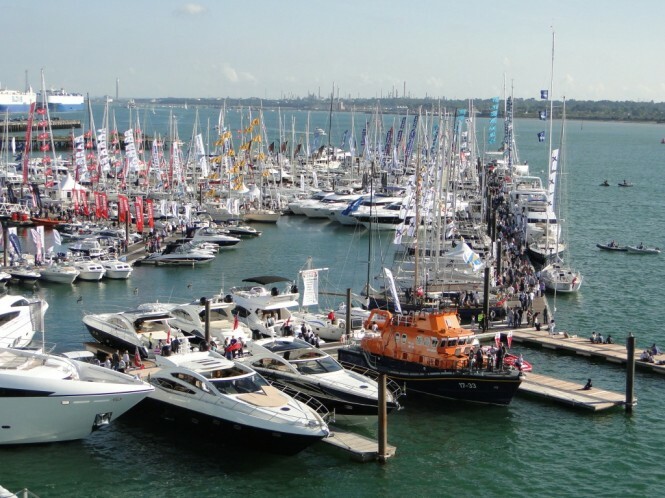 Exhibitors chose Southampton to host over 11 world product and boat launches and numerous UK launches and European debuts announced on Public Preview Day. The Show also hosted the Minister for Business, Mark Prisk who launched the UK Marine strategy and the BMF has been working tirelessly behind the scenes to help the industry particularly with bank finance and in developing a better Supply Chain process. All this demonstrates the importance of this Show, the benefits it offers and the effectiveness of the strategies adopted by many companies in managing current economic conditions. Visitor feedback has also been very positive, which reflects that the Show offers the ideal mix of products, features and activities available to all. 2011 has seen an array of brand new attractions including the Great British Oyster Festival in association with The Shellfish Association of Great Britain, Michelin star celebrity Chef Shaun Rankin demonstrating in the Sea Kitchen Theatre and the impressive HMS Bulwark which welcomed almost 8,000 visitors aboard, along with Show favourite’s Try-A-Dive and Try-A-Boat. “The Show looks tremendous and the Show’s attractions coupled with all the many boats, products and services on display offer visitors a great day out. The arrival of HMS Bulwark on Thursday has added some additional excitement and another reason to visit. Through Try-a-Boat, Get Afloat, the Platinum Experience with Princess and Suzuki’s RIB experience almost 10,000 people have enjoyed getting out on the water to have a go themselves, which all helps to introduce people to boating,” said Murray Ellis, Managing Director of National Boat Shows. David Pougher, Chairman of National Boat Shows added: “Business has been done here at the PSP Southampton Boat Show with steady sales across the range of boats, equipment and services on display. While many exhibitors may not have broken any records, visitors have certainly been buying at a level to what they can afford. The marine industry is experiencing the same challenges as many other industries within the current climate and by providing the best possible platform the Show has given marine companies a much needed boost. Sebago has announced a 27% increase in sales compared to last year (at time of print) and expects this figure to rise to 40% by the end of the day (Sunday). Adie Callaghan, European Marketing Manager for Sebago: “This is our 25th consecutive year with Sebago at PSP Southampton Boat Show and we are delighted with the visitors and sales we’ve had this week. Not only has it been a great brand-building exercise to raise awareness among new customers, but we’ve exceeded our expectations in terms of sales on both apparel and footwear. 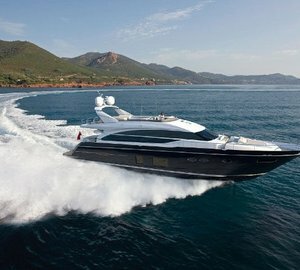 The 2012 Tullett Prebon London Boat Show runs from 6-15 January 2011 at ExCeL London. Please contact CharterWorld - the luxury yacht charter specialist - for more on superyacht news item "Yachting Industry shows resilience at 2011 PSP Southampton Boat Show".